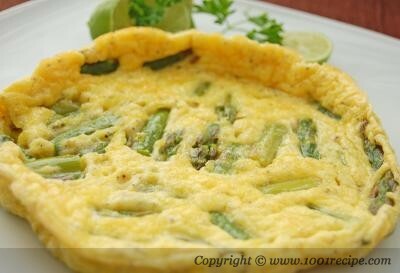 Navid: The asparagus omelet is a very easy and healthy dish. 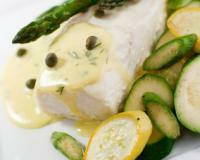 Asparagus is an excellent source of vitamins and minerals and is extremely good for you. 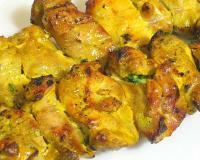 Try to use good quality organic eggs and fresh lemon juice for this dish. Also avoid using processed cheddar or Parmesan cheese. 1. Preheat the oven to 400 F (200 C). Place an oven proof pan with 1/2 tbsp olive oil in the oven. 2. Cut the bottom tough part of the asparagus spears. 3. Steam them for 5 minutes or until tender. Alternatively you can boil them with a little bit of salt. Cut them into 2 cm (1 inch) pieces. 4. Meanwhile, whisk eggs, cheese, salt and pepper to blend well. 5. Remove the heated pan from the oven. Transfer asparagus pieces into the pan. Pour the egg mixture over it. 6. Place the pan in the oven and cook for 10 min or until done. 7. Serve it with fresh lemon juice. I started using asparagus in omelets a couple years ago. It's a great vegetable to go with eggs. I definitely recommend this omelet. Asparagus in the omelet is a genius idea. Delicious and not overpowering. I recommend it.